Double-Deep Selective Pallet Rack is a two-deep version of the standard selective pallet rack commonly used to boost pallet density for higher volume products. 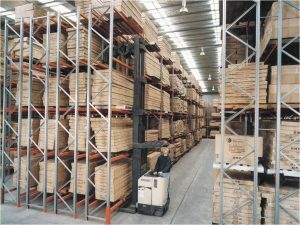 Double-deep maximizes warehousing space by reducing the number of aisles while increasing pallet storage space, however it should also be noted that these systems require the use of a double-deep reach forklift to access the rack system. Designing a double-deep system for proper forklift integration is vital. While the Apex team is sharing important engineering tips and design guidelines to help you make the best system choice, be sure to consult with Apex engineers before finalizing your system design. Let’s first look at two important features of the reach truck to consider in the design of the double-deep rack system. Deep-reach trucks have two outer legs that distribute the load weight; with a wheel configuration of two or one wheels per leg. These are referred to as outriggers or the BLO (base leg opening). 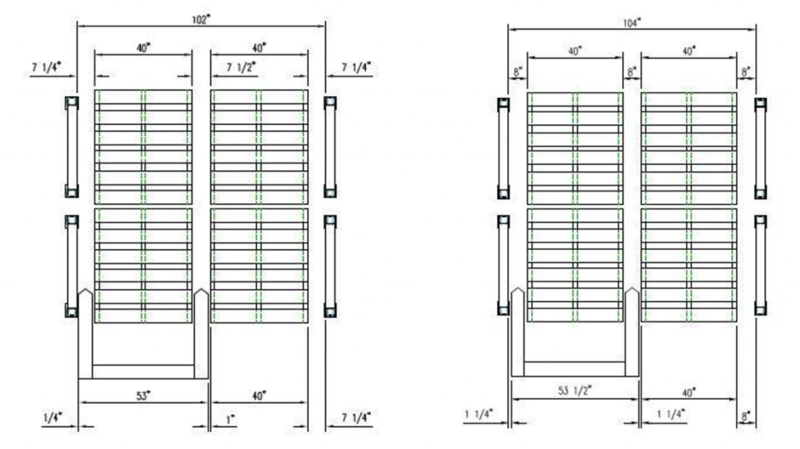 Outrigger/BLO specifications are determined by capacity, overall lift height and warehouse traffic patterns. Deep-reach trucks have a scissor mechanism called a pantograph that allow the forks and pallet load to extend forward into the double-deep racking configuration. As noted above, the forklift outriggers located at the base of the truck must enter the rack system in order for the forks to reach both front and rear pallet positions. The outriggers of the reach truck can easily increase damage in a double-deep system if the rack is not designed correctly. When designing the racking system, it is very important to decide on the type of outrigger interaction with the rack and design the rack accordingly. A poor design can cause increased damage. The outriggers can be set wide to go outside the pallet or narrow to go under the pallet. Therefore, the rack must be designed to accommodate a wide or narrow outrigger clearance. The rack must either have a bottom beam or must be wide enough to accommodate the outriggers to fit around the pallets that are located on the floor. Outrigger size and spacing will vary depending on the forklift model and manufacturer. Be sure to consult manufacturer specifications when designing your system. When designing an ergonomic layout in any warehouse or distribution center, every inch counts. Maintaining a standard bay opening of 96” not only offers flexibility for your warehouse in the future but it may also mean maximizing your footprint by fitting more product into less space. When using a standard opening of 96” in a double-deep reach application, a bottom load beam (shown right) may be required. Please note, a proper side-shift will be required on a double-deep reach application. Additionally, the size of baseplates will be critical as well. All of these design components can be avoided if you increase the bay opening to a minimum of 102”. 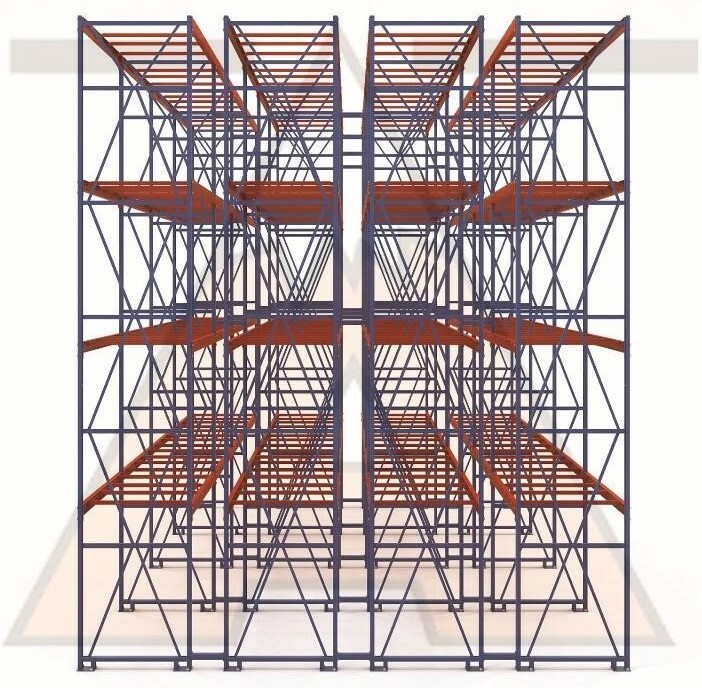 The images above illustrate double-deep pallet rack applications with an increased bay opening of 102” and 104”, respectfully. 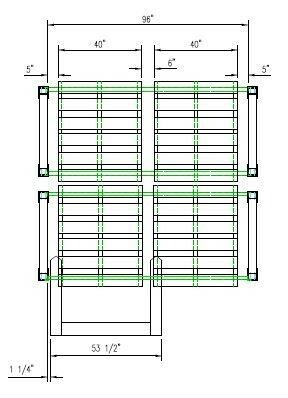 By increasing the bay opening to 102” or 104” it removes the necessity of having a bottom beam because it allows additional clearance left-to-right between the pallet footprint as well as the outriggers on the reach truck. In some cases, such as food production, a bottom beam may still be required when housekeeping measures must be taken. Pallet rack can be configured with a recessed front column which creates additional room for forklift outriggers and allows for a broader forklift turning radius. There are three commonly used column designs: Offset, Slope and Raised I-Beam. Offset/Cant Leg Upright – Sharp recessed front post that angles back 90° towards the rear post (in some cases, connect with the rear post). The system application will define the height and depth with which the offset will be set. The offset can sit as low as 6” from the floor which allows outriggers to access the rack without interference while still accommodating a lower beam/pallet level. The 90° offset provides an easier visual for forklift drivers to gauge clearance for outriggers. Slope Leg Upright – Front column slopes or angles back toward rear column on the lower portion of the upright removing the front column from potential fork truck interaction. 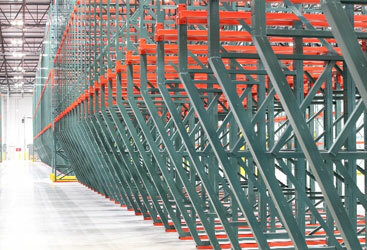 The degree of angle depends upon the rack dimension and upright capacity requirement. 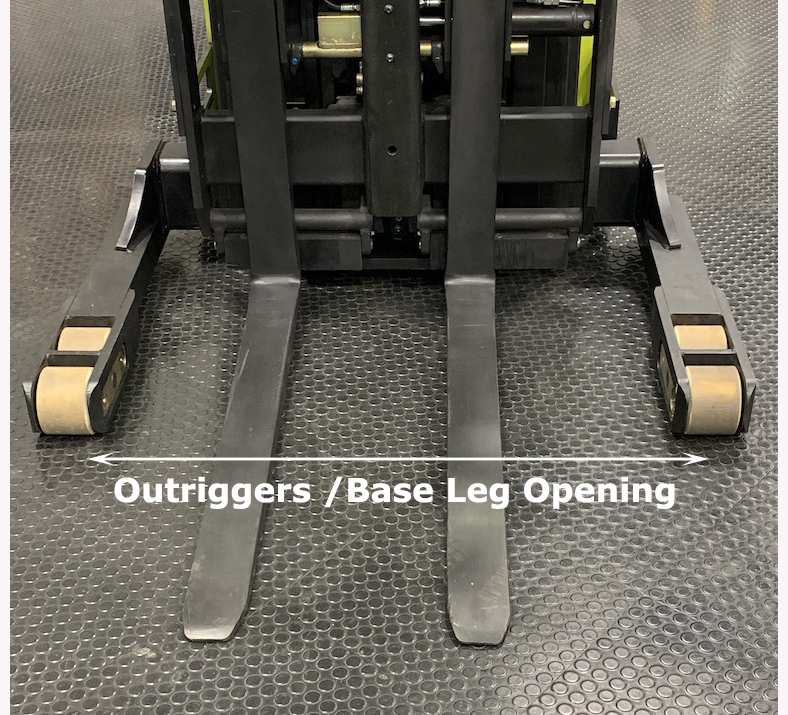 Slope leg uprights are often seen in drive-in/drive-through pallet rack to allow greater fork truck clearance as they enter, exit and maneuver around the system. As you can see, there are a lot of design choices for double-deep selective pallet rack, and it is important to get the design right… the first time. The Apex engineering and design team is available to help you choose the right configuration for your space, equipment, budget and order fulfillment needs, just give us a call today!